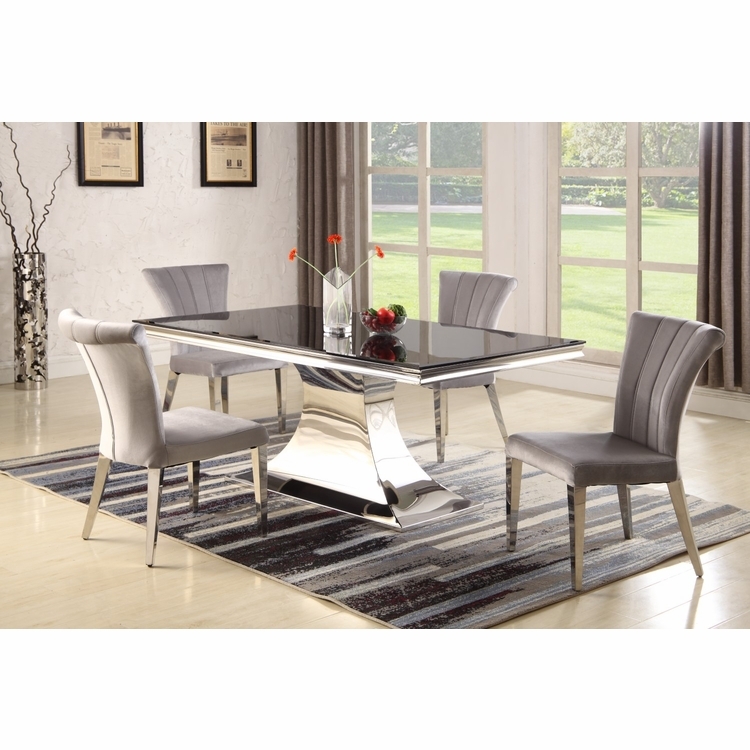 This set mixes styles with the contemporary table featuring a black rectangular tempered glass top with bevel edge, smoothly streams down with the curved tapered pedestal base. 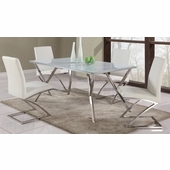 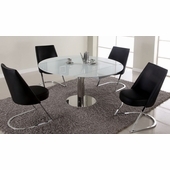 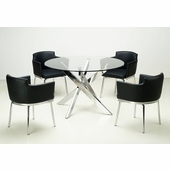 The modern style chair matches the table with polished stainless steel finish on the sturdy legs. 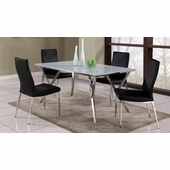 It features a flare roll-back design and the gray colored flannel fabric upholstery.